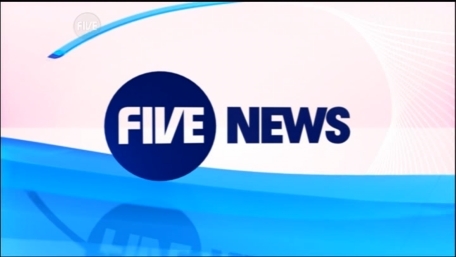 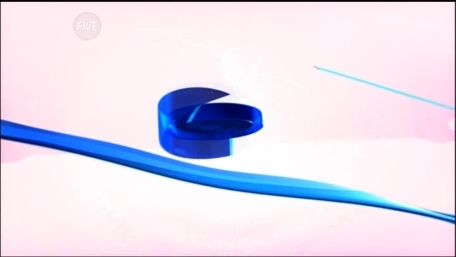 On Monday 6th October 2008, Five got a new logo, and to reflect this, from Tuesday 7th October 2008 the change was reflected in Five News. 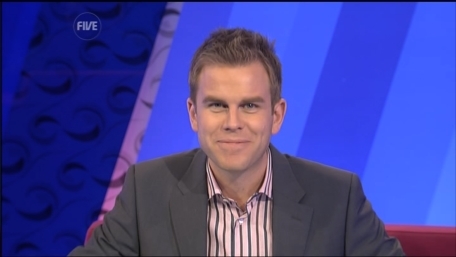 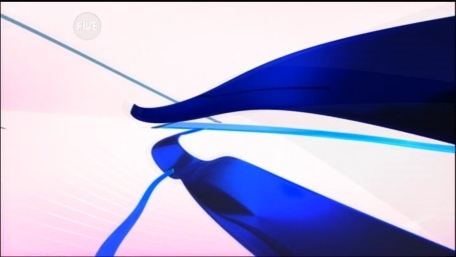 As of Monday 20th October 2008, Five introduced "Five News at 7" in a bid to "make it more appealing to men". 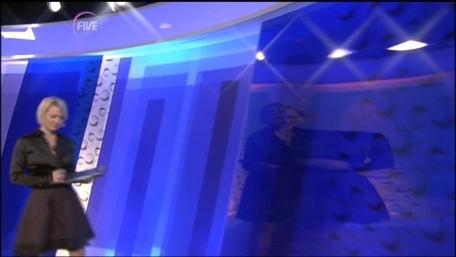 The new programme saw changes to the set and lighting as well as special titles and music. 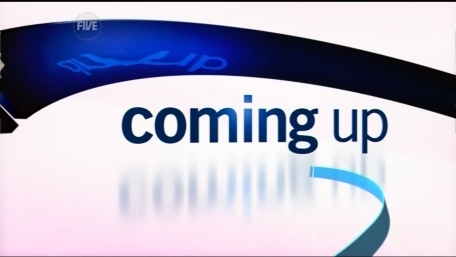 The new programme is hosted by Isla Traquair while the 5pm show will be hosted by Matt Barbet. 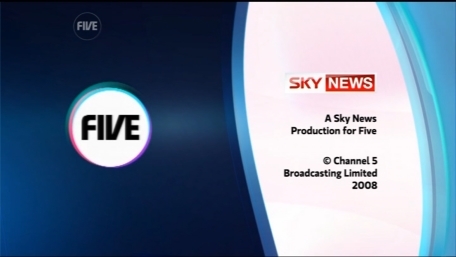 The 7pm show lasted until Monday 14th September 2009 when it was "replaced" by Live from Studio Five. 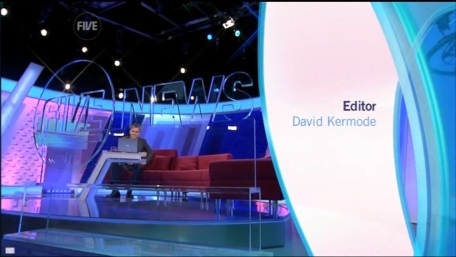 David Kermode, the Five News editor, said "The changes would see the show better reflect the audience at 7pm, which includes more men, while the 5pm bulletin will continue to focus on a more daytime audience." 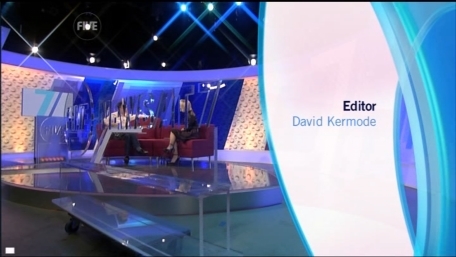 "This is really a kind of revision of what we are doing at 7pm," Kermode said. "We are looking at what the available audience is at that time. 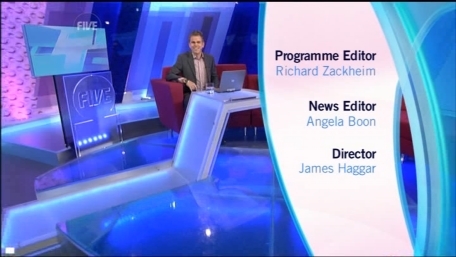 "The 5pm show has a lot of daytime values to it, although it is still a news programme. 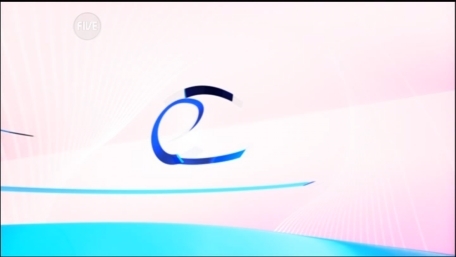 What we are trying to do at 7pm, in what is an incredibly difficult slot, is try to evolve and give the show a separate identity. 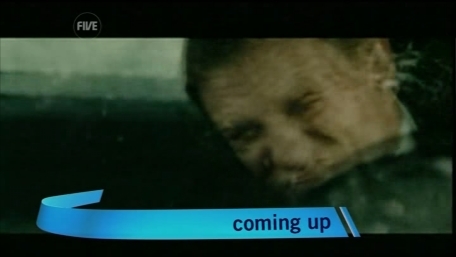 "7pm is a narrative repeat of 5pm at the moment. 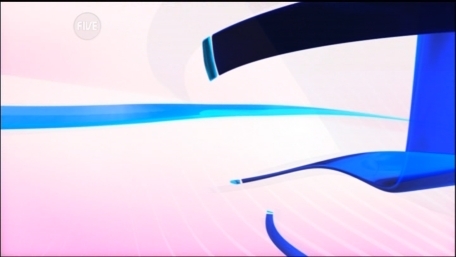 What I want to look at is can we make it look a bit different and can we tap into a different viewership." 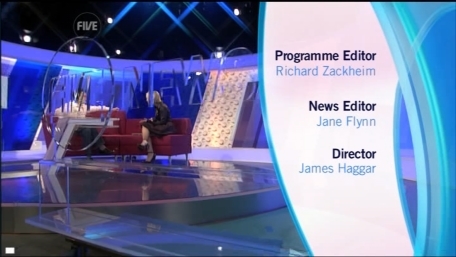 "We are mindful of who the available audience is and men form a reasonable constituent." 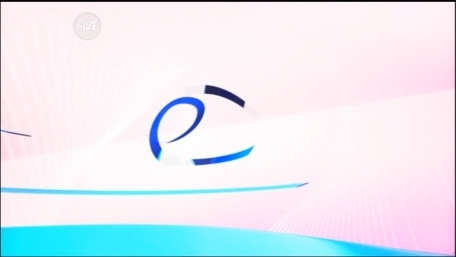 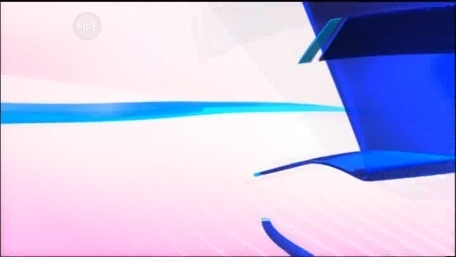 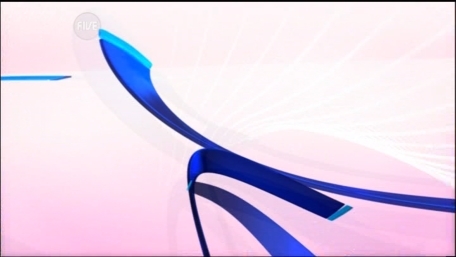 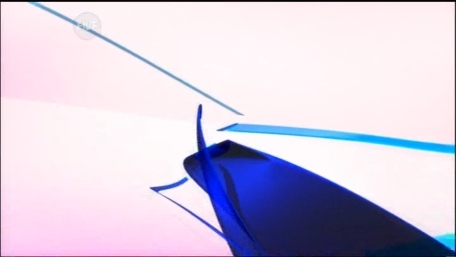 The news opening titles featuring the new logo, and a slight hint of pink. 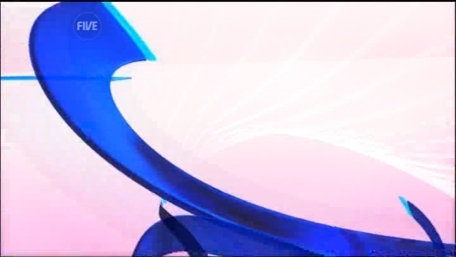 The closing titles, with just the slight tweek to the logo. 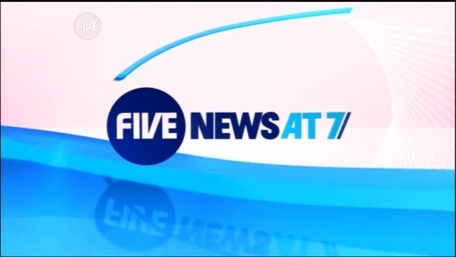 The opeiniung title of the first Five News at 7. 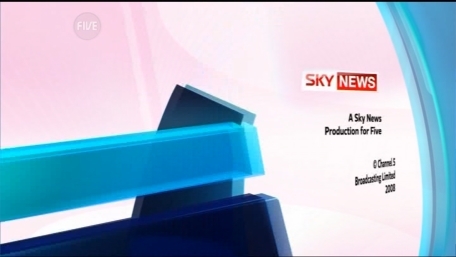 Here's what's coming up as they go into a break. 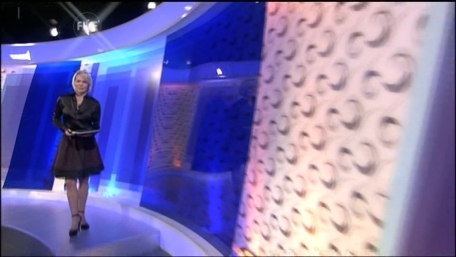 And back from the break. 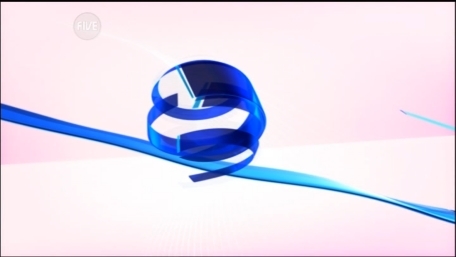 The end of the first Five News at 7.